On Thursday, May 19th, Propeller Anime invites you to celebrate night of one of anime's greatest visionaries, Hayao Miyazaki! It will be fun times at Bikkuri Lounge with the best in Japanese animation and cuisine! With our friends at Enzian Theater doing a double showing of Princess Mononoke, we figure that it would only be right to make May's Anime Nite Orlando a double feature of more Hayao Miyazaki movies! 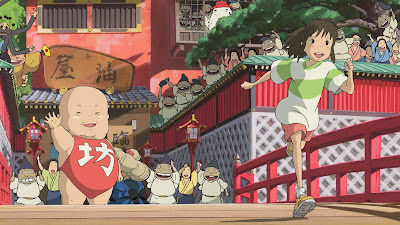 We'll be showing the only anime to win an Academy Award, Spirited Away! But before that, we're showing another classic, Porco Rosso!